How the Jewish people came out of Egypt. How old is the story? How old is the melody? But now, behind shrouded windows, the Seder takes place. It’s hard to tell one from the other. This poem, written by the poet, activist and Warsaw-native Binem Heller, punctuated my childhood. As a child, I heard these words recited year after year—in their original Yiddish—during the Workmen’s Circle Annual “3rd Seder,” a Yiddish community Seder rooted in social justice. After asking the four questions, role playing the four children, watching in awe as an interpretive dance marked the momentous crossing of the Red Sea, and eating my fill of the decadent 3rd Seder meal, the mood shifted dramatically: The room would fall silent as a holocaust survivor would take the stage to recite this poem. The words that pierced my ears and my heart at the age of four and five still do to this day. I grew up in a world of socialist Yiddishists. 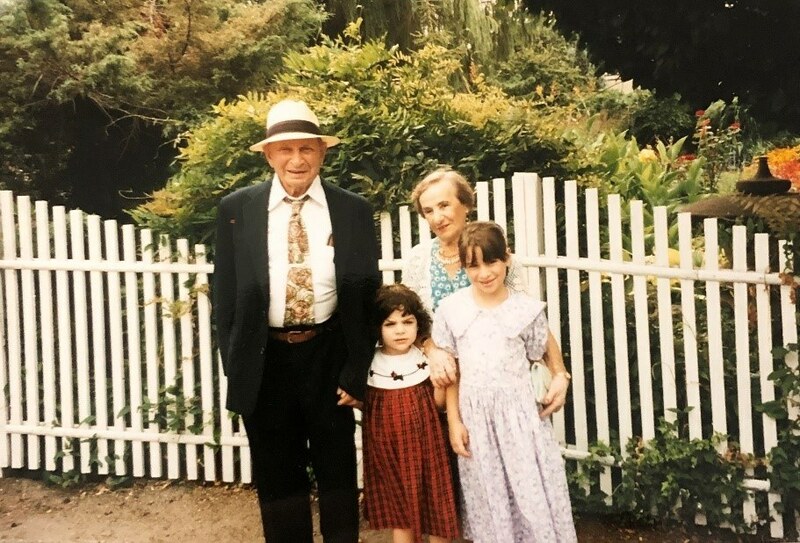 Yiddish is my native tongue, and growing up in this unique community allowed me to connect deeply with my immigrant grandparents—Polish Jews who survived the holocaust and, with their two children in tow, immigrated to Queens, New York in 1967. 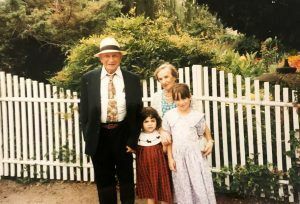 But my connection to my grandparents’ generation extended far beyond my immediate family: Throughout my childhood, I was surrounded by my Bubbe and Zayde’s peers. 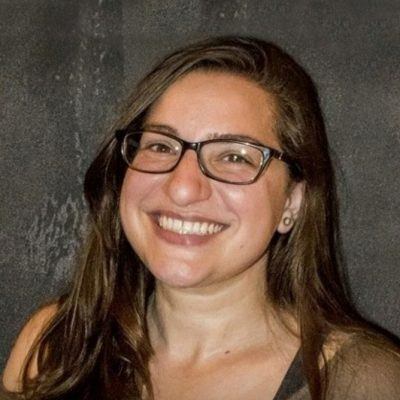 I heard their stories firsthand—when and how they escaped Europe, the joys and hardships of coming to America, and how they kept their Yiddish and Jewish culture alive. Living in this community in New York City, one of our most important annual events—aside from the 3rd Seder—was meeting every April 19th at “Der Shteyn” (the stone) in Riverside Park for the anniversary of the Warsaw Ghetto Uprising. “Der Shteyn” is a plaque that was placed in the park in 1947 to commemorate the Uprising. Buried beneath it lie two boxes with soil from two concentration camps, Terezin and Sered, as well as a scroll detailing the heroic events of the Uprising itself. Without exception, every year on April 19th my mother attends the gathering at “Der Shteyn,” where the community honors the valor and strength of the Warsaw Ghetto fighters with Yiddish poetry and music. 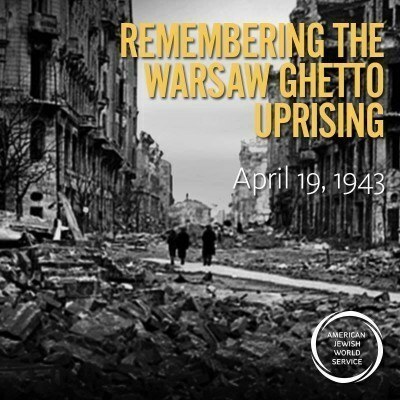 At home, my parents also took it one step further—they created their own Yiddish-English Haggadah, which in addition to the traditional texts, also included the story of the Warsaw Ghetto Uprising that occurred on the first night of Passover in 1943. Like the story of the Israelite’s exodus from the slavery in the land of Egypt, the story of the Uprising is one I hear every year—each time finding new depth and meaning in its remarkable unfolding. The heroism of this resistance has taught me what it means to put everything on the line to fight for justice—and what it means to properly commemorate righteousness a community. And though that dark time in our recent history has passed, I know that the work of pursuing justice is far from over. Global human rights are still in great peril, from the genocide perpetrated against the Rohingya people in Burma, to the mass of forced disappearances in Mexico, to forcing early marriage on girls in India. Which is why my work at AJWS feels so meaningful—I know we are doing as much as possible, as strategically as possible, to help those who are actively resisting injustices today. This allows me to live the values that were ingrained in me throughout my childhood. Remembering the hardships in our own history, we are working to make a positive difference in the lives of those who are waging their own uprisings.